The Bluetones were an English guitar band, formed in Hounslow, England in 1994, featuring Mark Morriss (vocals, keyboards & occasional guitar), Adam Devlin (guitars), Scott Morriss (bass guitar & backing vocals), and Eds Chesters (drums - the man who has both plural forename and surname!) Understandably classed as a britpop band, given that their appearance and initial huge success with songs such as Slight Return coincided synchronously with the Britpop explosion, their debut record Expecting To Fly appeared in 1996. Understandably classed as a britpop band, given that their appearance and initial huge success with songs such as Slight Return coincided synchronously with the Britpop explosion, their debut record Expecting To Fly appeared in 1996. As time has gone by, the band have actually become a more conventional 'indie' band - whilst notching up hits such as Marblehead Johnson, If... and Keep The Home Fires Burning they have struggled to replicate the success of their debut. After seven singles reaching the UK Top 20 in total, they are now well out of the public eye, but unlike almost all of the fellow 'britpop' bands, they continue to release new material and tour. 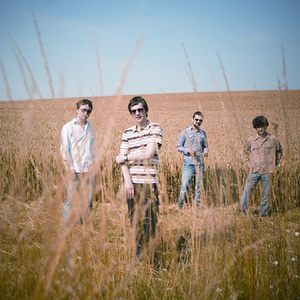 Following two further albums on major, A&M/Universal (1998's Return To The Last Chance Saloon and 2000's Science & Nature), they signed to the big indie, Cooking Vinyl in 2003 for Luxembourg and 2006's The Bluetones. Vocalist Mark Morriss released a solo EP under the alias Fi-Lo Beddow in 2006, which eventually bloomed into a full solo record under his real name. Memory Muscle was released in June 2008, and received a surprising amount of critical acclaim, given the music press' frosty attitude to Bluetones material. It included new versions of the songs which made up the Fi-Lo Beddow EP, and featured strings arrnaged by film score composer David Arnold. The band released their final album, A New Athens, in 2010, and completed their farewell tour in September 2011.